I make my way to Halibut Point, near my Bartlett Cove ( Park headquarters) campsite. Morning sun carves away the clouds, opening up a landscape of mountains and snow. I see several ravens on the way to the beach, and oyster catchers are searching the tide line. No one else is up, I have the bay to myself. 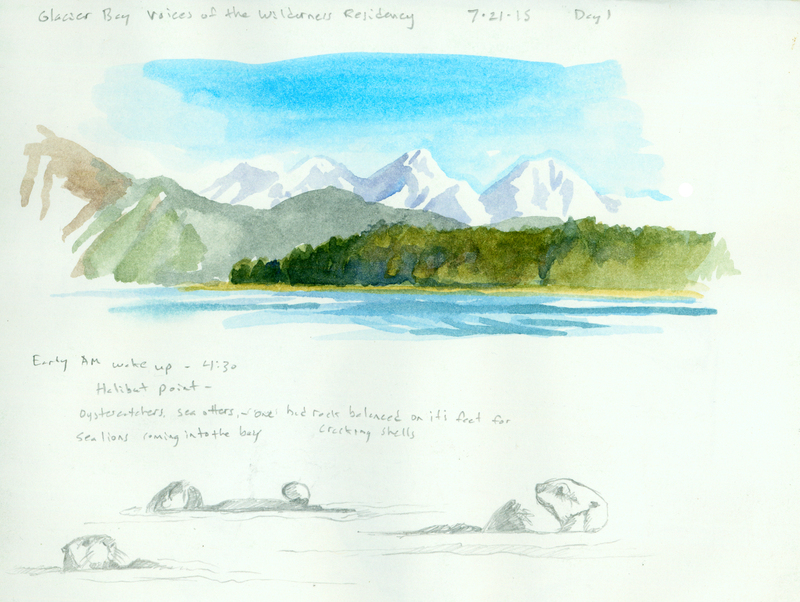 The mountains form themselves in my sketchbook as I quickly move the brush around the page. Some splashing catches my ear, and as I look to the left several sea otters appear, floating in the kelp and grooming. I start to add them to my book when a raft of stellar’s sea lions work their way across the point and into the cove. As they swim away, silence settles back in, but then I hear explosive breaths from the opposite side of the cove. 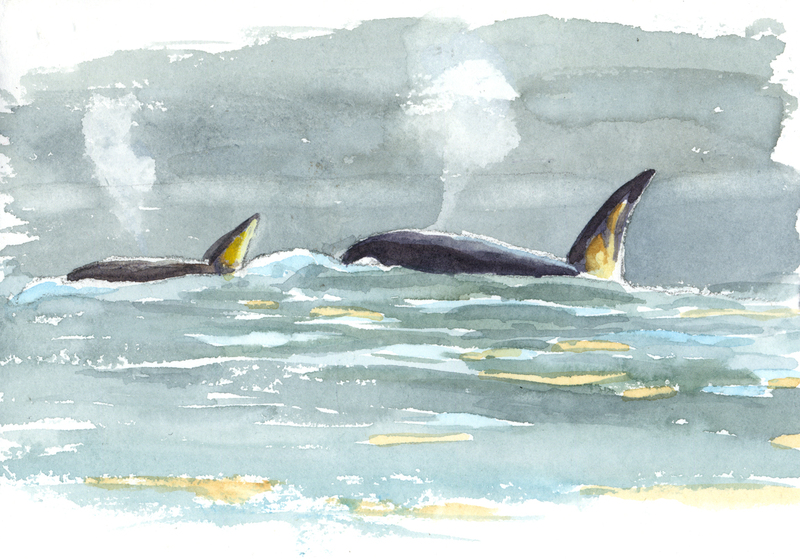 My binoculars show 3 orcas, one a large male by the size of the dorsal fin, swimming out to sea. The light catches their fins and they disappear. 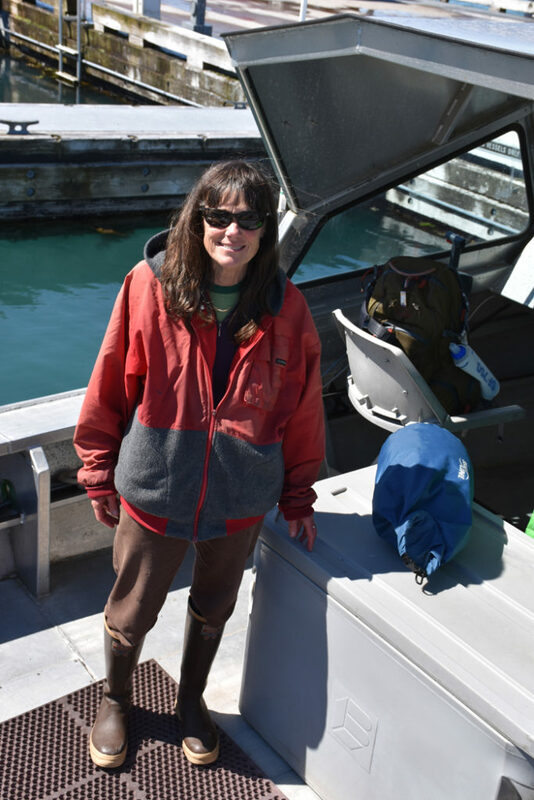 Later that morning head to the pier to meet Dena Matkin, orca researcher and my first guide into the bay. 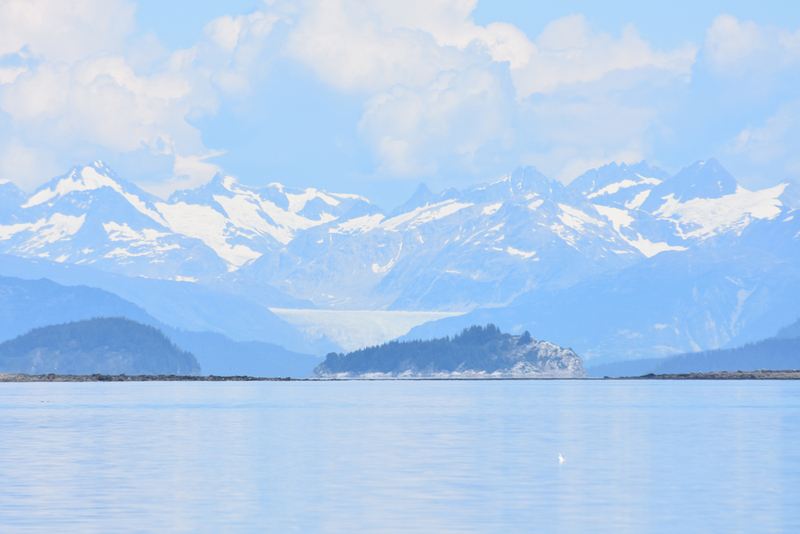 We board the Kingfisher to search the upper part of Glacier Bay for orcas. Dena is interested in my account of the early morning orcas I saw at Barlett cove. These were a transient pod of whales, who hunt marine mammals and range over a larger area than the resident orca pods, who feed on fish. I was interested to hear that there are physical differences between these separate populations, and the transient males tend to have larger dorsal fins. 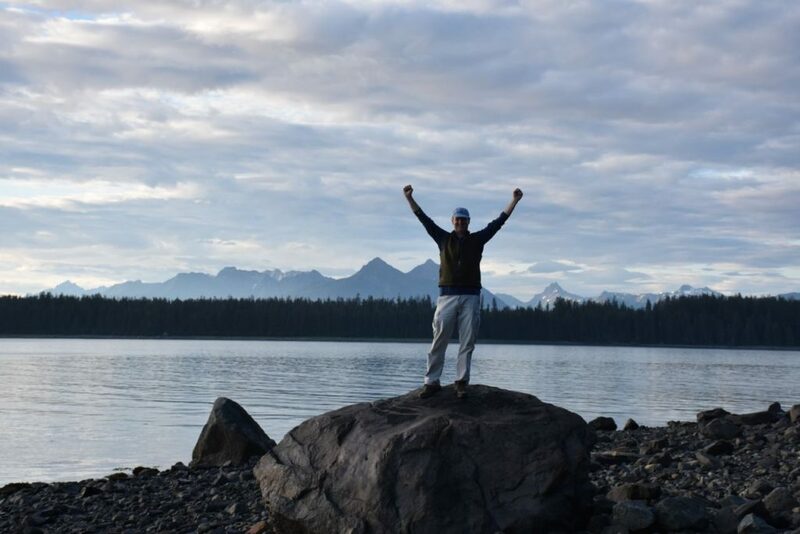 Although my day started with wildlife sightings galore, we couldn’t finding orcas to observe during our time, although we saw sea otters, breaching humpback whales and experienced a wonderful sunny day exploring the upper bay. In the distance I can see the glaciers I hope to visit later in my time here.